So I looked around on the internet for advice and found waraboushi on YouTube, who posted some 'crappy videos' (his words) of his excellent playing. This looked like a guy who knows what he's doing, so I mailed him for tips. To my suprise and joy, waraboushi actually started to give me lessons by e-mail. I wasn't expecting this, I thought he would pass me a few links. So I am very grateful for his attention! 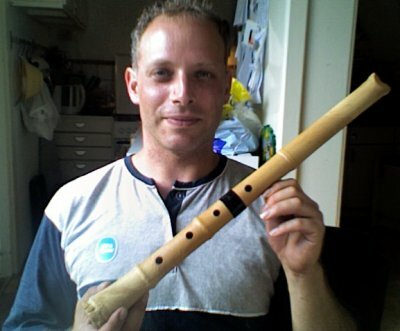 This site records the lessons learnt from him and anything else that relates to shakuhachi playing.